The EdgeMarc 2900 series of Intelligent Edge devices enables enterprises and service providers to future-proof their SIP trunking and Unified Communications deployments, providing a highly flexible, scalable, and secure platform for service delivery and ongoing service quality management. 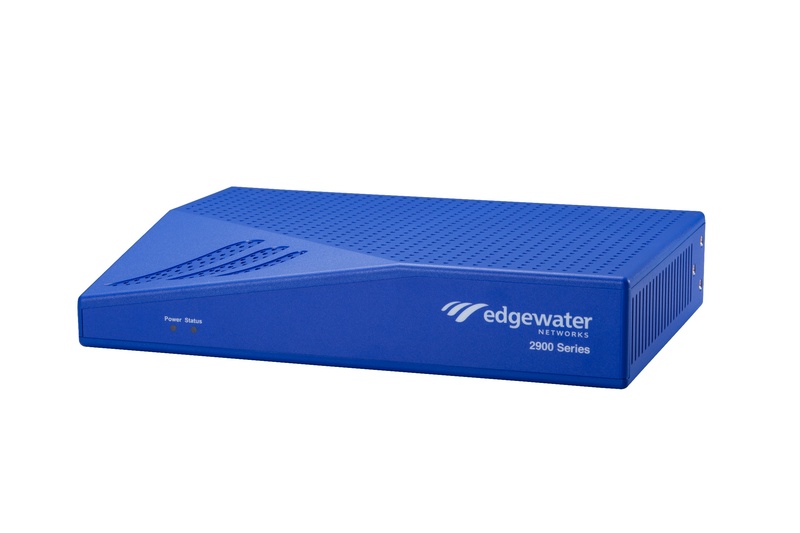 The 2900e offers dual Ethernet and Optical WAN connections to extend the capabilities of Edgewater’s Network Edge Orchestration platform, supporting WAN connections up to 1 Gbps and 300 concurrent calls. Future products in the 2900 series of Intelligent Edge devices include the EdgeMarc 2900a. The EdgeMarc 2900a adds both outbound and inbound analog line (FXO/FXS) support for applications such as PSTN fail-over, fax, and overhead paging. Trunking and Hosted IP Telephony. Additional Features include the enabling of a Single Static IP Address to be used for multiple IP Phones or IADs (SIP). Provides a protocol fix for interoperability via header manipulation rules. The EdgeMarc 4700 Enterprise Session Border Controller Series prioritizes voice over data traffic to ensure the highest voice call quality while allowing routed data traffic to burst up to full line rate when possible while providing Call Admission Control to ensure the highest quality voice calls. A Voice and Data Firewall is available using a stateful packet inspection for data and tracks.